In these glittering, very funny stories, the acclaimed Danish writer Dorthe Nors sketches ordinary lives taking unexpected turns: a son's love for his father is tested when he suddenly discovers its fragility; a woman in an abusive relationship seeks to better understand the choices she has made; a man with dreams of self improvement is haunted by deceit; and a daughter watches on silently as her mother's search for meaning ends in madness. 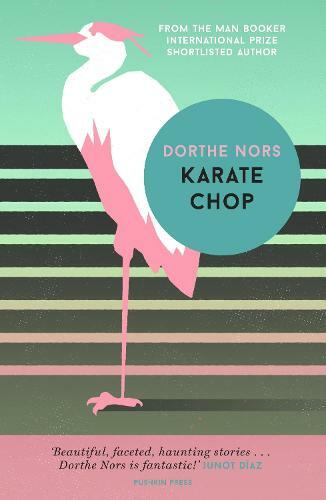 Blending compassion with dark delight, Nors conjures up a flawed, unsettlingly familiar world with each cautionary glance - as fresh moments of wonder, romance and frail beauty are unexpectedly infiltrated by depravity, isolation and despair. Just a little handbag size which was perfect last week when I was out and about carrying spare books to read.